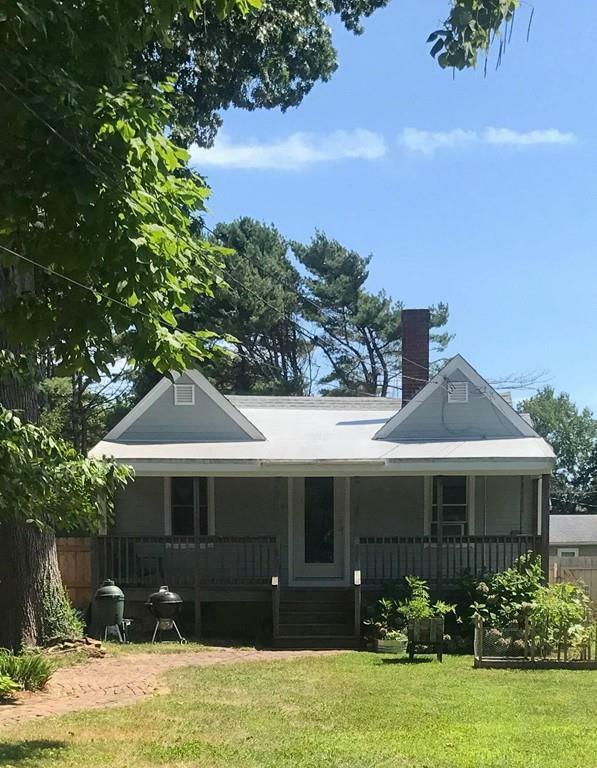 This is a charming home located in historic Padanaram Village.The 2 bdrm/1 bath home has been totally remodeled; inside and out! Hardy Board siding, new Pella windows/doors, new roof, and hot water heater. The yard is one of the largest in the neighborhood, beautifully fenced in w/ a new red cedar fence.The covered front deck leads you into the living area, complete with hardwood floors, and fire place. The kitchen has ample amount of cabinet storage and counter space! Granite counter tops and an oversized island, makes it a great spot to entertain. The bathroom has floor to ceiling tiles, new shower/tub/vanity. But what is best about this property is where it is located! Back porch water views! And you get to enjoy fully maintained, deeded beach access rights just steps from your home. A dreamy spot to launch a kayak or go for a dip! All appliances included, even washer/dryer. Brand new stone driveway fits 4+ cars. Move in ready! This property really is a must see, dont miss out! Listing courtesy of Melanie Santos of Alfonso Realty Co.. Listing provided courtesy of Melanie Santos of Alfonso Realty Co..